If you're looking to get the best audio out of your music or home theater system (or both), a stereo receiver is worth considering. Our team has done extensive research on stereo receivers to identify some of the best on the market for a range of uses, including listening to music, home theater and audio networks. If you're note sure about what kind of receiver is best for your situation, check out our handy buying guide below. Read more about our methodology. With 7.2 channels, support for next-gen video and audio standards, Bluetooth and Wi-Fi connectivity, DTS:X and Dolby Atmos surround sound, and zone 2 audio, Yamaha’s RX-V681BL AV receiver does it all and doesn’t cost a fortune. While it lacks the newest surround sound technologies, the Denon AVR-S510BT still punches well above its weight in this price bracket. Its 5.2 channels, true 4K output, and dead simple setup offer more than enough capability for most users. For a top of the line home stereo, look no further than Yamaha’s R-S700BL. Two 100-watt channels provide sufficient power for large setups with additional subwoofer support, while zone 2 functionality lets you pump separate audio into a second room. This 7.2-channel unit competes with models twice the price. The AVR-S720W is capable of handling 4K, HDR, and even 3D output along with DTS:X and Dolby Atmos surround sound. Its great networking features are icing on the cake. Along with support for 4K HDR content and the latest surround sound technologies, Sony’s STRDN1080 packs excellent networking features including Bluetooth, Wi-Fi, and compatibility with popular streaming services. This receiver can even stream audio to three separate zones simultaneously. The receiver is the heart of your home theater and the most important part of selecting a quality unit is deciding what sort of setup you want to eventually have, even if your desired system won’t be purchased all at once. A regular two-channel stereo receiver is fine if all you want to do is listen to music, while an AV receiver can handle audio as well as video output to create a full home cinema system. For immersive sound, you should look for at least 50 watts of power per channel. AV units generally feature 5 to 7 channels with support for one or two subwoofers – for example, a 5.2 channel receiver supports five surround speakers and two subwoofers. Other features to look for are the latest surround sound technologies such as DTS:X and Dolby Atmos. Even if you don’t currently use the newest video technologies, getting a unit that is capable of these is desirable so you can upgrade your system later without having to buy a new receiver. Almost all of the best new receivers support modern standards including HDMI 2.0, HDCP 2.2 copy protection, 4K Ultra HD, and High Dynamic Range. 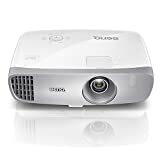 Some receivers can also upscale your resolution, and while upscaled 1080p won’t look as nice as true 4K, it will still smooth things out and improve the picture quality of older media. 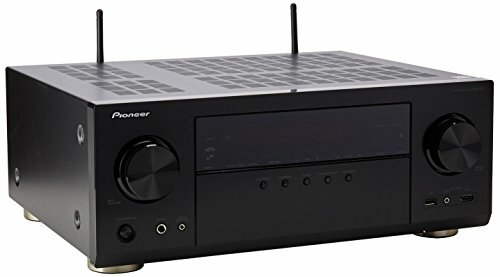 Buying a receiver with more ports than you think you need is usually a good idea even if you won’t use them all right now. Anything less than five HDMI connections might get tight as you hook up more media players and gaming consoles, and HDMI ports may not be able to handle the same content. A unit with six HDMI inputs may only support HDCP 2.2 on three ports, for example. Also consider whether you need extras like a second HDMI display output or dedicated inputs for older media players. Another newer feature that has been added to receivers in recent years is wireless connectivity, allowing you to stream media to and from your system. A modern AV unit should offer Bluetooth or Wi-Fi connectivity, with the best network receivers offering both, as well as built-in compatibility with the most popular streaming services like Pandora and Spotify. Basic stereo receivers can cost as little as $70-100, but these cheaper hubs generally lack desirable output technologies like Dolby TruHD and sound quality suffers. Audiophiles who want to get the most out of their stereo setups should look to spend around $250-500 for a good receiver. Above that price, you may want to consider a full AV unit which can offer great audio quality along with video output. 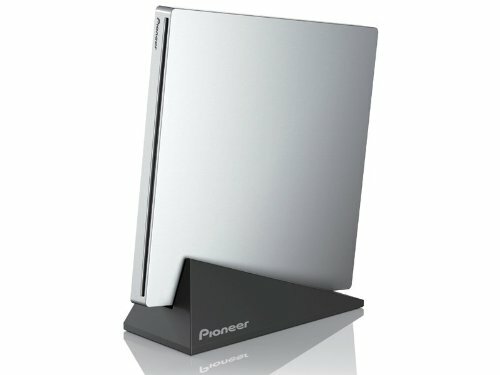 Even a good AV unit doesn’t have to cost a fortune, however, with excellent entry-level options in the $250-300 range. These models may not include features like DTS:X or Dolby Atmos, but will still offer 5.1- or 5.2-channel surround sound and 4K video. Expect to spend between $350-$700 for 7.2-channel receivers that have these modern output standards along with extras like extra input ports and wireless networking technologies. The Yamaha RX-V681BL offers all of the next-gen features you want in a modern receiver for a reasonable price, making it a great choice for a fully loaded home theater. This 7.2-channel unit is compatible with 4K Ultra HD, HDR, and HDCP 2.2 content, and packs the latest DTS:X and Dolby Atmos surround sound technologies. The RX-V681BL is both Bluetooth- and Wi-Fi-capable and Yamaha MultiCast makes it simple to stream content to two different rooms at once. Supports modern video output standards. The RX-V681BL handles 4K output at 60 frames per second as well as HDR so you can enjoy the latest high-quality video formats. Three of the six HDMI ports are also HDCP 2.2-capable to work with modern copyright-protected content. DTS:X and Dolby Atmos surround sound. The latest sound technologies are a must-have for a future-proof system, and this receiver delivers. Its support for DTS:X and Dolby Atmos surround sound lets you get the most immersive audio quality out of your preferred speaker setup. Numerous connectivity options. The RX-V681BL packs some great network features along with Bluetooth and Wi-Fi capability. Popular streaming services like Pandora, Spotify, Airplay, Sirius XM, and more all come built-in. Yamaha’s MultiCast also provides easy zone 2 setup and remote control from your smartphone. Dedicated phono input. Normally found on stereo receivers, the phono input is a nice touch that is absent on many AV units. This allows you to hook up a turntable and enjoy the warm tones of vinyl records. Remote can be finicky. The remote control’s sensor can be fussy at times, often requiring you to point it directly at the receiver. This isn’t a deal-breaker but might become an annoyance in large or crowded rooms. User interface could use improvement. The on-screen UI is cluttered and not as intuitive as it could be. The remote is also over-crowded with a lot of controls, although some will appreciate the dedicated buttons for each separate input. Zone 2 feature reduces channels to 5.2. When projecting audio into another room, the main theater setup is reduced to 5.2 channels instead of 7.2. This is because the receiver recruits two channels for zone 2 audio, and while not a design flaw, this is something to be aware of for those who plan to use this feature a lot. The Denon AVR-S510BT is a great AV receiver for the price, offering a lot of modern features and a very user-friendly interface. Five HDMI ports, true 4K Ultra HD output, and 5.2-channel surround sound make this entry-level model a great option for beginners and for small- to medium-sized home theater setups. Although it lacks the newest surround sound technologies, DTS-HD Master Audio and Dolby TruHD provide excellent audio quality. Its convenient built-in Bluetooth connectivity allows you to stream music to the receiver without the need to purchase an adapter. Simple setup and ease of use. Buyers who are new to home theaters will enjoy the simple setup and interface of the Denon AVR-S510BT. The Denon Setup Assistant guides you through the process and automatically calibrates your speakers, while the Denon Remote app turns your mobile device in to a user-friendly remote control. Great sound quality. Even without the latest surround sound technologies, Dolby TruHD and DTS-HD Master Audio give this receiver excellent capabilities when it comes to your home theater’s soundstage. Five HDMI inputs and HDCP 2.2 support. Five HDMI-in ports, three of which offer full 4K capability, provide plenty of connections for media players, gaming consoles, and other input devices. The three 4K HDMI inputs also offer HDCP 2.2 support for the newest copy-protected media. Built-in network features. Integrated Bluetooth gives you wireless connectivity for streaming media to the receiver and controlling playback from your compatible smartphone or tablet, unlike some models in this price range which require you to buy an adapter or lack this feature altogether. No DTS:X or Dolby Atmos. 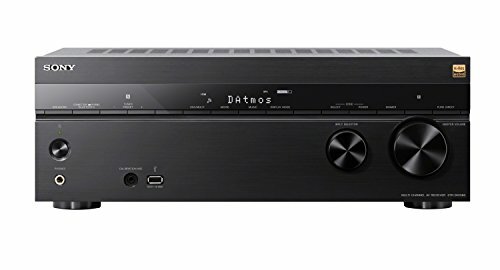 As is to be expected at this low price point, the AVR-S510BT does not offer the newest DTS:X or Dolby Atmos surround sound technologies. The audio quality will suit most users, but those who want a future-proof system and the latest standards should spend a bit more for a receiver with those features. Cheap speaker connections. To save costs, this unit uses spring-tab-style speaker connections which are somewhat cheap-feeling and may not be the most durable if they are used to frequently connect and disconnect speakers. If all you want is a system to play music, then a dedicated stereo receiver is what you need. These units pump audio through two channels for right and left speakers, and the best models feature enhanced digital-to-analog conversion technologies that minimize distortion and improve fidelity. What wattage you need will depend on your speakers, with 40-50 watts being sufficient to power a smaller personal setup and 100 watts or more for a large one. More advanced stereo receivers add features like subwoofer support and zone 2 functionality for playing audio in two areas simultaneously. For high-end sound, audiophiles should look no further than the Sirius-ready Yamaha R-S700BL stereo receiver. Two 100-watt channels deliver powerful sound and subwoofer support lets you crank up the bass. Hook up a turntable via the dedicated phono input or enjoy any of the 40 AM/FM radio presets. Yamaha’s proprietary construction features maximize audio fidelity by virtually eliminating noise distortion, while Continually Variable Loudness Control automatically adjusts frequency levels to keep you enjoying your music in all its vivid detail, even at low volumes. Plenty of legacy media hookups. A phono, CD player, and six RCA inputs provide numerous options for hooking up legacy media devices so you can enjoy all of your music, new and old. Gold-plated jacks, Pure Direct, and CD Direct Amplification also smooth out the signal quality from your RCA input sources. Subwoofer output. The R-S700BL offers support for a subwoofer along with right/left speakers, a feature not found on many stereo receivers and a must-have for audiophiles who want a punchy, immersive bass response. Automatic frequency control. Continually Variable Loudness Control automatically maintains frequency response, preventing your ears from losing sensitivity to high and low frequencies so you can still enjoy every detail when listening at low volumes. Delivers high-fidelity audio. The receiver utilizes Yamaha’s proprietary Total Purity Audio Reproduction Technology chassis and analog circuit design which minimizes noise and vibration for crisp, distortion-free sound. Dual-zone audio. Dual-zone support makes it possible for both channels to project the same audio source into two separate areas simultaneously. 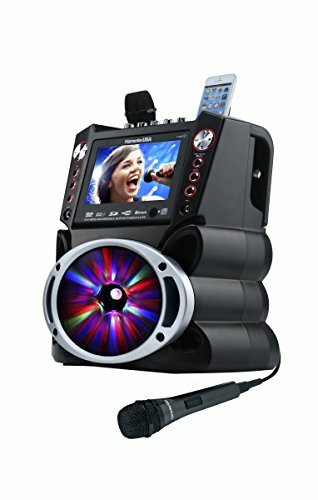 This lets your stereo fill more than one room with sound and is great to have for parties and other get-togethers. Bluetooth streaming requires an adapter. This receiver lacks any built-in networking functionality, only supporting Bluetooth streaming via an external adapter which must be purchased separately. Although it comes ready for use with Sirius XM radio, a Connect Home Tuner kit must also be bought separately. 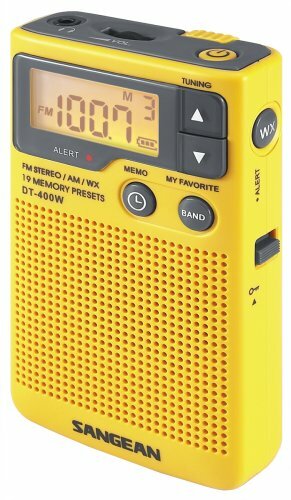 No built-in USB or MP3 player support. 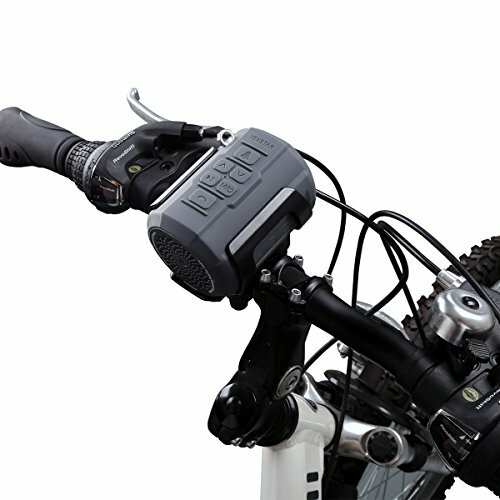 The R-S700BL lacks a USB port, something often found on newer receivers which would allow you to play music directly off of a connected device. IPod support can be achieved with one of Yamha’s iPod docks, however, but this comes at additional expense. Buyers looking for a simpler and considerably more affordable stereo receiver would be well-served with the Onkyo A-9010. This unit boasts Wide Range Amplifier Technology and a Wolfson WM8718 DAC which decodes PCM signals for digital-to-analog conversion, producing high-fidelity analog sound from digital sources. An MM phono input, four line-in ports, and two digital inputs (coaxial and optical) offer numerous hookups for a wide variety of media players while the dedicated headphone amp maximizes the quality of your music when you want to listen privately. Dedicated headphone amplifier. Headphone amplification circuitry is built right into the receiver, providing powerful and crystal clear sound for those times when you want to put on a pair of cans and fully immerse yourself in your music. Good digital-to-analog conversion. The Wolfson WM8718 DAC unit decodes PCM signals to 192 kHz and 24-bit resolution, converting audio from digital sources into crisp, lossless analog sound. This lets you enjoy digital media sources like CDs without the quality loss that is typically caused by noise created during signal conversion. Generous input options. An MM phono, four line-in, and two digital inputs provide plenty of connection ports to rout all of your music players, both new and old, through to your speakers or headphones. High-quality, distortion-free sound. Wide Range Amplifier Technology delivers a frequency response of up to 100kHz for bright highs and deep lows. The receiver’s chassis design, low-impedance amplifiers, aluminum heat sink, and high-current capacitors greatly minimize distortion as well. Simple, clean design. The Onkyo A-9010 sports a sleek, simple, retro-styled fascia with a brushed metallic finish and chunky knobs. The clean interface lacks any digital displays or cluttered button layouts, which gives this receiver a uniquely clean and classic look. Only 44 watts per channel. The receiver’s 44W per channel output is slightly below our general recommendation of at least 50 watts, but is still sufficient for a personal listening setup. Buyers who want a large speaker system to fill a wide area with music should look for a more powerful model. Lacks subwoofer support. Users who listen to a lot of bass-heavy music may not get the punch they are looking for from the Onkyo A-9010 given that, lacking support for a subwoofer, it only offers right/left speaker and headphone output. No wireless connectivity. Unfortunately, this unit can only interface with media players via wired connections and lacks any integrated Bluetooth or Wi-Fi. There are also no hookups for wireless adapters or satellite radio receivers. For a full home theater setup, you need an AV receiver that can power your surround sound speakers as well as rout your video inputs to your television or other display. Along with modern surround sound standards like DTS:X and Dolby Atmos, a good AV receiver should offer multiple HDMI inputs capable of handling 4K Ultra HD as well as HDCP 2.2 on several ports, if not all of them. For the most immersive surround sound setup, a 7.1- or 7.2-channel receiver is recommended which lets you hook up 7 positional speakers and one or two subwoofers. The Denon AVR-S720W is one of the best full-featured AV receivers available in this price range, offering 7.2 channels with 75 watts per channel, DTS:X and Dolby Atmos surround sound, and a nice array of built-in networking technologies. Bluetooth and Wi-Fi allow for remote streaming from your compatible mobile device, and you can setup dual-zone audio as well. Its easy installation and great value make this unit an excellent choice for new buyers and for those who want a full home theater without paying an arm and a leg. Excellent video output features. The AVR-S720W offers all the modern video output technologies a buyer would want in a modern AV receiver. Support for HDR, 60Hz 4K Ultra HD, and 3D let you get the most out of all of your visual media. Built-in streaming technologies. This unit features Bluetooth, Wi-Fi, and zone 2 capability, which are nice extras for a receiver at this price. The AVR-S720W also comes ready out of the box for the most popular streaming services including AirPlay, Pandora, Spotify, and Sirius XM. Easy setup and use. The Denon Setup Assistant and Remote App make setup and operation a breeze. Features like Audyssey MultEQ and Dynamic EQ automatically optimize speakers for your room as well. Six HDCP 2.2-capable HDMI inputs. Six HDMI inputs provide plenty of hookups for your media devices, and all six connections are HDCP 2.2-capable so you’re not limited to using certain ports when playing modern copy-protected content. Plain and dated-looking UI. While probably not a major concern for most users, the UI is rather bland and uninspiring compared to the slick, modern-looking user interfaces seen on many other units. If you are building a larger system, such as one that requires two displays, the Pioneer VSX-1131 is a solid 7.2-channel AV receiver that packs all the latest features needed for a full home cinema. Six HDMI-in and two HDMI-out ports provide plenty of connections for large home theaters and this model supports true 4K, HDR, and HDCP 2.2 content. Dolby Atmos and DTS:X surround sound immerses you in your music, movies, and games while a plethora of built-in networking functions provide plenty of options for streaming and customizing your setup. 8 HDMI ports. The VSX-1131 features two HDMI outputs, letting you hook this unit up to two different displays if you need to. Six HDMI inputs also allow you to connect more input devices than most other receivers are capable of handling which is great for larger systems. Dedicated phono input. The dedicated phono input is a nice touch for retro music-lovers who want to hook a record player up to their theater system and bust out their vinyl collection. Powerful low-latency sound. With an output of up to 170 watts per channel, the VSX-1131 delivers stronger, punchier sound than other Pioneer systems. Control Phase Dynamics also virtually eliminates lag between your speakers and subwoofers for clear, synchronized bass. Excellent networking capabilities. 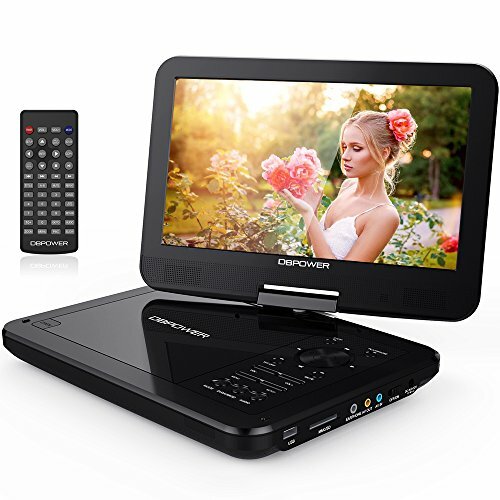 Choose from either built-in Bluetooth or dual-band Wi-Fi for streaming content to the receiver from your connected devices. The VSX-1131 also offers zone 2 audio and can connect to compatible speakers wirelessly via FireConnect, giving you even more options for speaker placement. Packed with the latest AV technologies. DTS:X, Dolby Atmos, 4K Ultra HD, and HDR support ensure that you are enjoying your entertainment with the latest high-quality audio and video standards. Full HDCP 2.2 compatibility also ensures you’re not getting locked out from newer DRM-protected media. Can overwhelm new users. As a fully-featured AV receiver, the Pioneer VSX-1131 is not the best for those who are new to home theater setups. Inexperienced users may find themselves overwhelmed by all of the different features and options, and might be better off buying a simpler unit. Some AV receivers boast enhance networking capabilities, offering both Bluewooth and Wi-Fi connectivity as well as built-in compatibility with a wide variety of the most popular streaming services such as Pandora, Spotify, and AirPlay, among others. These units also offer multi-zone capability for pumping audio to multiple zones, with the best models able to handle three zones instead of the usual two. Network receivers are a great option for users who need to power a large home theater system and those who want fill multiple rooms with audio, providing entertainment for house parties and other gatherings. Sony’s STRDN1080 network AV receiver is a great choice for anybody looking to create a large, multi-room theater system with excellent wireless streaming options. A marked improvement over previous models in this lineup, the STRDN1080 is among the first Sony receivers to add DTS:X and Dolby Atmos surround sound technologies. Six HDMI-in and two HDMI-out ports provide sufficient hookups for large home cinema setups and all support 4K, HDR, and HDCP 2.2 content. Networking features include integrated Bluetooth, Wi-Fi, streaming services, and zone 3 connectivity which lets you project separate audio into three rooms instead of just one or two. Zone 3 capability. One stand-out feature that the STRDN1080 offers over its competitors which feature dual-zone support is its zone 3 capability, allowing you to stream audio into three different areas simultaneously. Excellent networking and streaming options. Along with Wi-Fi and Bluetooth, this receiver supports AirPlay, Chromecast, and Spotify along with more than 100 other streaming apps. The STRDN1080 can also sync with your Google Home hub for hands-free voice control, and the SongPal app turns your iOS or Android device into a handy remote. Dolby Atmos and DTS:X surround sound. Boasting Dolby Atmos and DTS:X, this AV unit is among Sony’s first to include the latest surround sound technologies. This gives your system additional future-proofing and lets you get the most out of your surround sound speaker setup. Great for large and powerful systems. The STRDN1080 delivers a beefy 165 watts per channel, providing lots of power for a wide surround sound system and large speakers so you can be fully immersed in your movies, music, and games. HDR, 4K, and HDCP 2.2 support. Eight HDMI ports support 4K Ultra HD, High Dynamic Range, and HDCP 2.2 to let enjoy the latest content without being blocked by copyright restrictions. Two HDMI-out ports also allow you to expand your setup with a second output display. Audio quality is best-suited for home cinemas. 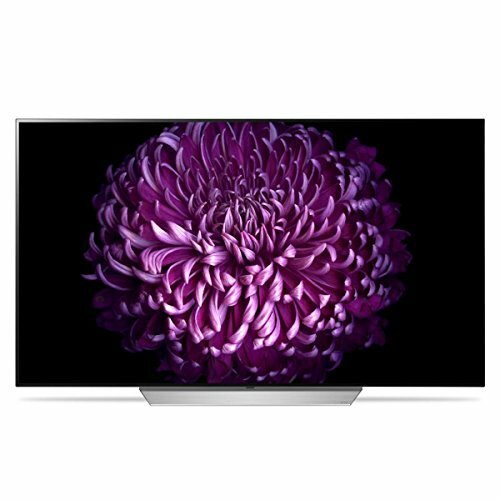 While excellent for watching movies, the audio quality of the STRDN1080 isn’t as good for listening to music compared to previous models in this line. Audiophiles may want to look for a receiver with more music-focused capabilities or even a high-end stereo unit. Remote interface could use improvement. The remote’s button layout is not the most intuitive, only offering dedicated input buttons for certain connections while others must be accessed via on-screen menus. Streaming services can only be controlled from your smart device as well. 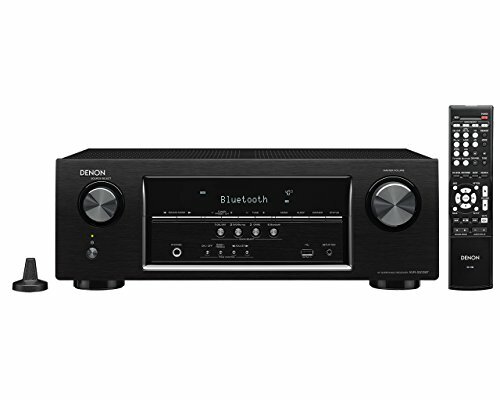 With dual-zone audio, Wi-Fi, Bluetooth, FireConnect, and built-in streaming services, the Onkyo TX-NR656 packs an impressive checklist of features that easily out-competes other models in this price range and beyond. This 7.2-channel network AV receiver features 10 HDMI ports and a beefy 170 watts of power per channel for a large and powerful home cinema system. Support for DTS:X, Dolby Atmos, 4K, HDR, and HDCP 2.2 keeps your setup up-to-date with the latest output standards while the 384 kHz/32-bit converter provides clean, high-fidelity analog sound from digital sources. Fully loaded with network features. Wi-Fi and Bluetooth let you stream your media library to the receiver from your connected smart device using the most popular streaming apps. The TX-NR656 also offers multi-zone audio via zone 2 support and FireConnect, allowing you to expand beyond just two rooms when using compatible wireless speakers. Excellent digital-to-analog conversion. Onkyo’s unique Vector Linear Shaping Circuitry works together with the 384 kHz/32-bit DAC to remove pulse noise created during conversion, delivering a smooth and crisp-sounding analog signal from digital sources. Great for large setups. The TX-NR656 features an impressive number of HDMI ports with eight inputs and two outputs, offering more than enough connections for even the largest home systems. This unit can also easily handle large speakers and wide surround sound setups with its mighty 170 watts of power per channel. An excellent value for a modern unit. For its power and list of features, the TX-NR656 compares favorably with receivers that cost hundreds more. Its networking features and support for the latest AV standards including DTS:X, Dolby Atmos, 4K, and HDR make this unit a fantastic value at this price point. Mediocre bass response. Even with its 7.2-channel support for two subwoofers, the Onkyo TX-NR656 receiver notably lacks a deep and punchy bass response when compared with other receivers. Only 3 HDMI inputs are HDCP 2.2-capable. Having so many HDMI ports sacrifices full HDCP 2.2 compatibility, with only three of the inputs being capable of handling this content. While not a huge problem, this still limits which ports can be used for certain input devices.